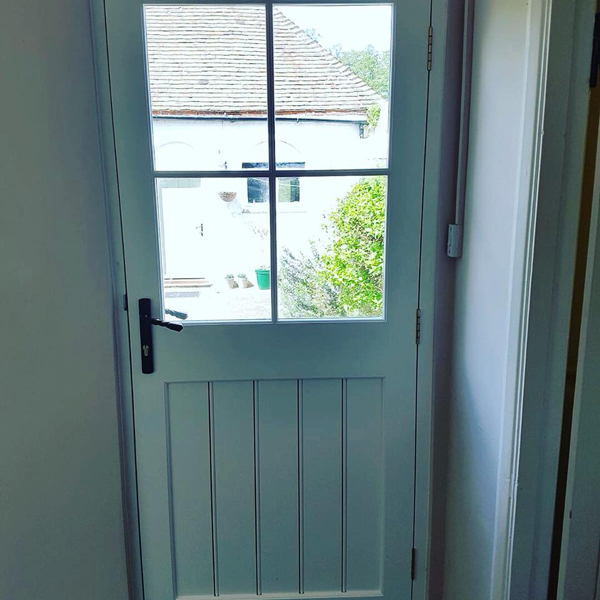 We recently created an instaled this external wooden door in Chartham near Canterbury as always when making this type of door matching the style of the existing surroundings is of the utmost importance. Ledged and braced doors are by their very nature solid and robust they are also perfect in rural settings as they blend seamlessly with their surroundings. In this instance we used Redwood as this type of wood is perfect for a clean and smooth machined finish which also reacts well to the application of paint Redwood is a reasonably durable softwood and when treated is adequate for outdoor use. 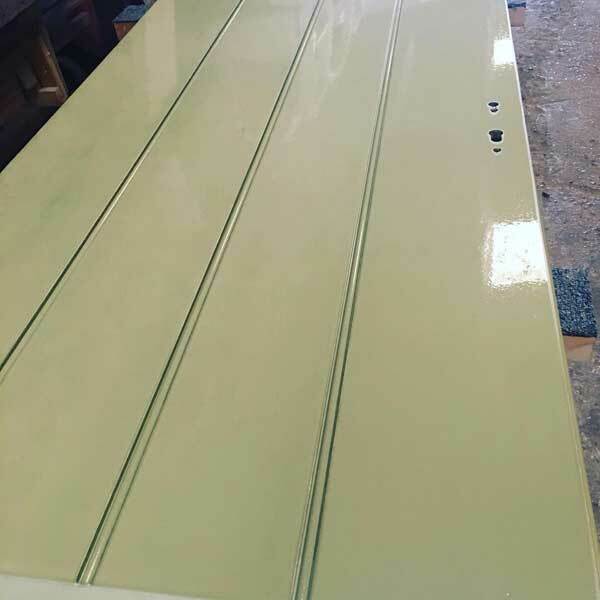 The door is painted with Teknos semi matt Teknos is well known throughout the joinery industry for producing excellent paints that perform well on all types of wood. The finish is resistant to both weathering and UV rays meaning the finish will look great for many years to come. For more examples of wooden doors take a look at our doors gallery. 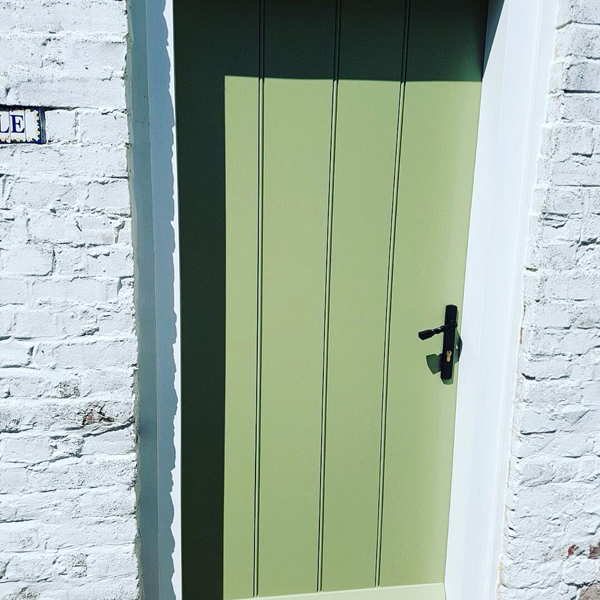 Should you be considering bespoke wooden doors feel free to get in touch.